JSP, global market leader in PPE, will be showing its diverse range of innovative above-the-neck PPE in Hall 6 on Stand G43 at A + A 2017. JSP is committed to improving occupational safety, health and well-being in the workplace. 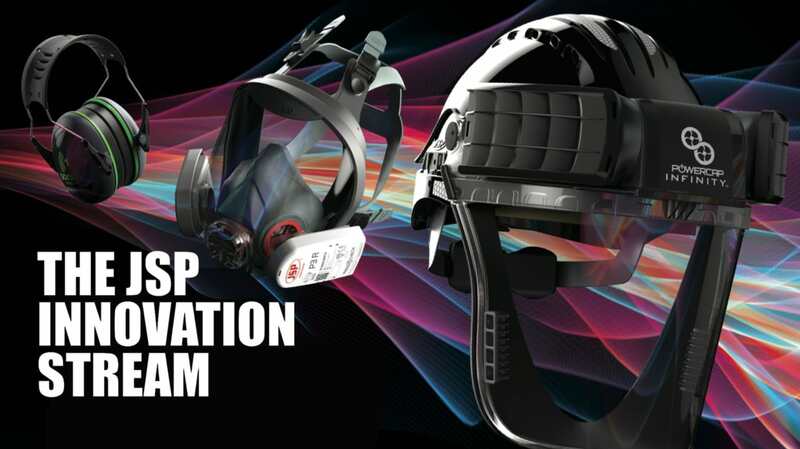 JSP’s Research and Development team are designing more intuitive to operate products which perform to the highest levels across the widest range of environments, are comfortable and stylish to wear and more integrated to fit with other PPE. NEW Springfit TM Mask – New fold flat disposable mask achieving high levels of fit with specialised endoskeleton structure allowing movement of jaw whilst maintaining an excellent seal. Exceptional low breathing resistance. Also on show will be the new Sonis® Ear Defenders, SWISS ONE Safety® Eyewear, Hardcap AeroLite® and the award winning VisiLite®. JSP sells its products exclusively through its distributor network partners in over 100 countries, helping modern multi-national end users implement the most effective and efficient health and safety protection programmes consistently worldwide. More information is available from www.jsp.co.uk, by emailing uksales@jsp.co.uk, or calling +44 (0)1993 826050.